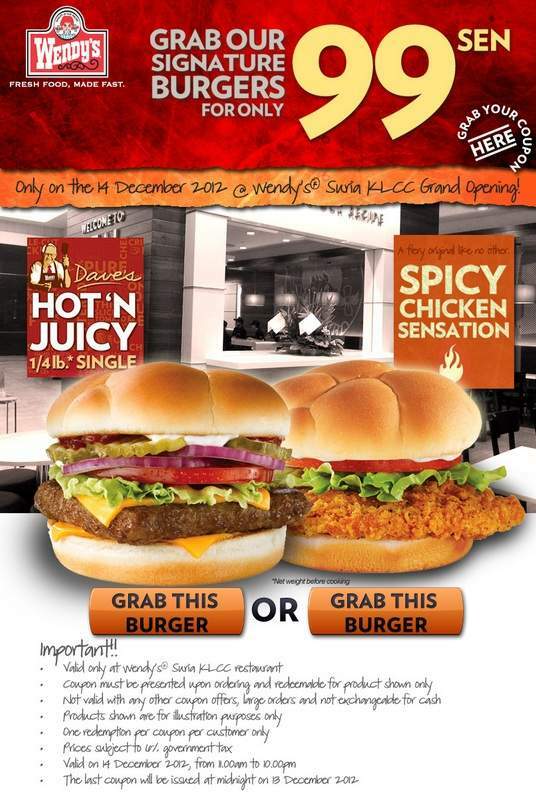 Wendy's Suria KLCC Grand Opening Special : Grab Wendy's Signature Burgers for only 99 sen! You choose either Wendy's Hot 'N Juicy Burger or Wendy's Spicy Chicken Sensation Burger. Coupon must be presented upon ordering and redeemable for product shown only. One redemption per coupon per customer only. Ready to grab the coupon? Visit Wendy's 99sen Signature Burger Coupon page now!